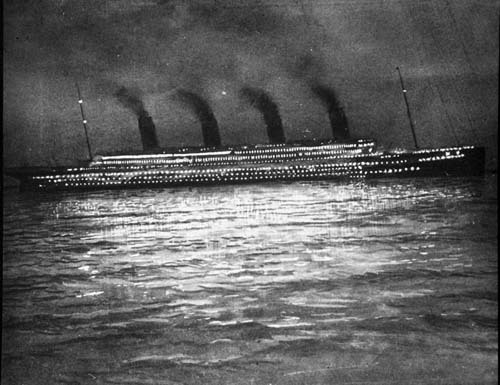 On April 15th, 1912, the RMS Titanic struck an iceberg, sank below the waves, and took over 1500 people to the bottom of the ocean. Every April 15th, the world remembers the once beatufiul ship, that only sailed for a total of four days. However, the ship itself is legendary, and even though Titanic was only around for a short time, even 104 years later, people are still talking about this famous ship. 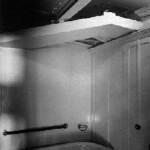 In remembrance of this once beautiful ship, here is part two of Titanic facts that people may not know about. Back in 1912, the price of things were a lot less than they are today due to things like the economy and inflation. 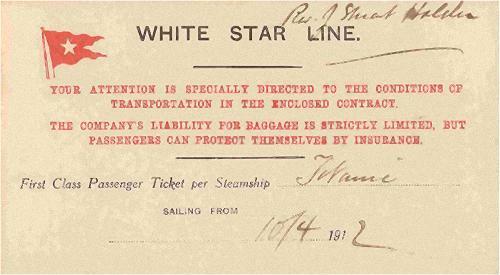 A great example of this difference between 1912, and 2016, is the price of the Titanic‘s First Class ticket. Now, back in 1912, the price was $4,350.00. However, adjusted for today’s inflation rates, $4350 turns into over $70,000.00. Imagine paying that much money for a one way ticket to New York City? 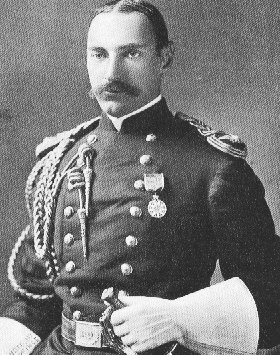 There were many wealthy people traveling on the RMS Titanic, but the richest man in the world was John Jacob Astor IV. Astor was born in Rhinebeck, New York, and was returning from a European honeymoon with his new, and very young wife, Madeline. There was quite the scandal involving the newlyweds becuase Madeline was only 18 years old at the time, and she was pregnant. Astor had made his millions investing and in real estate, and at the time of his death, was worth around $85 million, which is several billion dollars today. The passengers in First Class paid so much money for their ticket, that each room had its own private bathroom. 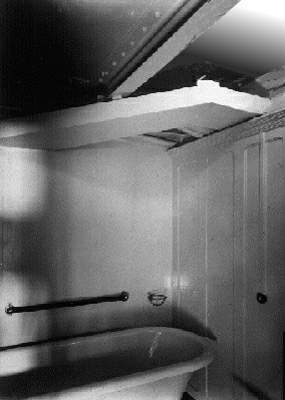 However, for those that traveled in Third Class, there was only two bathtubs for over 700 people to share. Two bathtubs for all those people probably meant long lines just to clean up! Back in 1912, women mostly stayed at home taking care of children, and keeping the house clean, while the men went off to work. There were things that were considered unladylike, and smoking, drinking, and playing cards, were among those things. 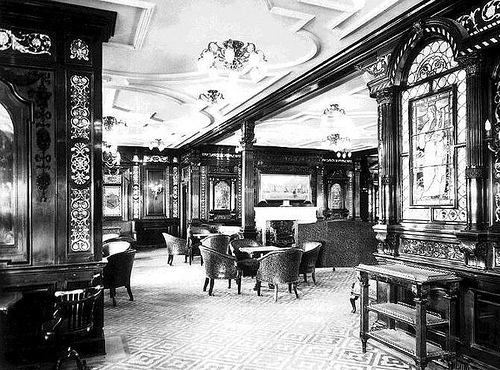 The First Class Smoking Room was for men only, but there was a reading and writing room for women, and they could socialize, write letters, read books, and have a nice cup of tea. 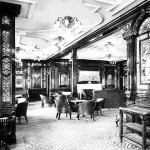 The RMS Titanic was almost 900 feet long, and weighed over 46, 000 tons. People do not understand just how big that was,but one way to help them understand is to take a look at the picture of the Titanic’s anchor. 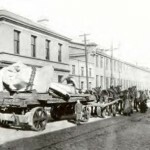 The anchor was so massive that it took 20 draft horses to pull it through the street. Draft horses are very big, and strong, and it took nearly two dozen of these beasts to pull a wagon that had the Titanic‘s anchor on top of it. 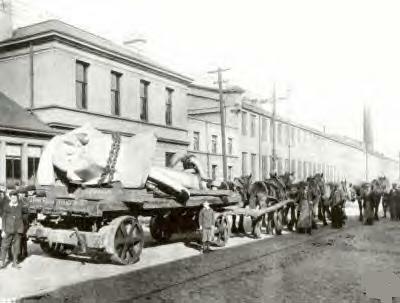 The anchor weighed over 20 tons, and it had to be that big in order to bring an almost 900 foot ship to a stop. 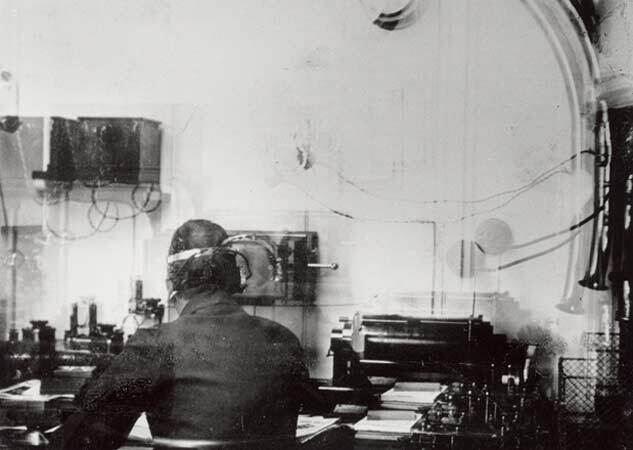 The Wireless Room of Titanic was very busy during the voyage. 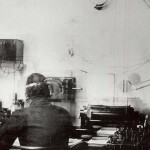 The two wireless operators, Jack Phillips and Harold Bride, were swamped with the personal messages that the First Class passengers were sending to their family and friends about the voyage. However, during the voyage, the wireless actually broke down, and the two young men were able to fix it. The wireless was down for about six to eight hours, and when it got working again, the two men were way behind in sending message. 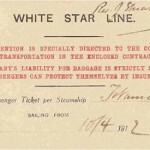 During all this time, there were at least six iceberg warnings that came in, including the big icebergs, and field ice, but the two young men were so busy, they did not have time to take all of them to the bridge. 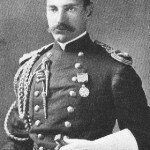 The surviving senior office, Second Officer Charles Lightoller, stated that if he had seen these iceberg warnings, he would have personally slowed the Titanic down, which could have prevented the iceberg collision and tragedy. 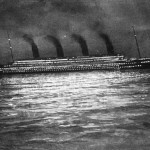 There is one most post that contains the last six facts about the Titanic’s sinking that people may not know about.